Perhaps the most celebrated boxer to come out of San Francisco was the son of an Irish emigrant. James J. Corbett, better known as, Gentleman Jim, was born in 1866, fought 24 professional bouts and defeated the great John L.Sullivan to become world heavyweight champion. His father was from Mayo, his uncle, who shared his name, was a parish priest in the county. But while Corbett may have been the greatest Irish-American boxing champion to emerge from the city, the greatest, and indeed the longest, fight involved another Irish American Danny Needham. Needham was born in St.Paul Minnesota a year after Corbett. He was one of four brothers constantly in trouble with the law until he found his natural home in the ring, fighting as a lightweight. The 1880s had seen the establishment of Queensbury rules but professional boxing then was very different to the sport as practised today. 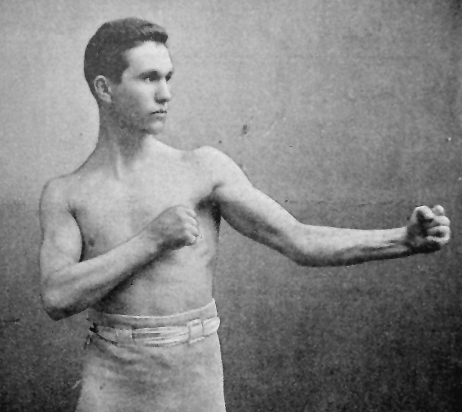 Most fighters wore 2 ounce gloves – four ounce gloves were scathingly referred to as ‘pillows’. Today boxers wear gloves weighing 8-10 ounces. In most cases there was no limit to the number of three minute rounds that could be fought. Boxers generally agreed to keep going until one or other was knocked out or threw in the towel. The sport in America was dominated by men with names like Paddy Duffy Dan Murphy, Charlie Gleason, Charlie “Bull” McCarthy & Jack McGinty as well as Sullivan and Corbett. It was a very Irish sport and a very Irish route out of poverty. Danny Needham was a colourful character, to say the least. He had a reputation for involvement in petty theft when he wasn’t in training and always carried a revolver with him. 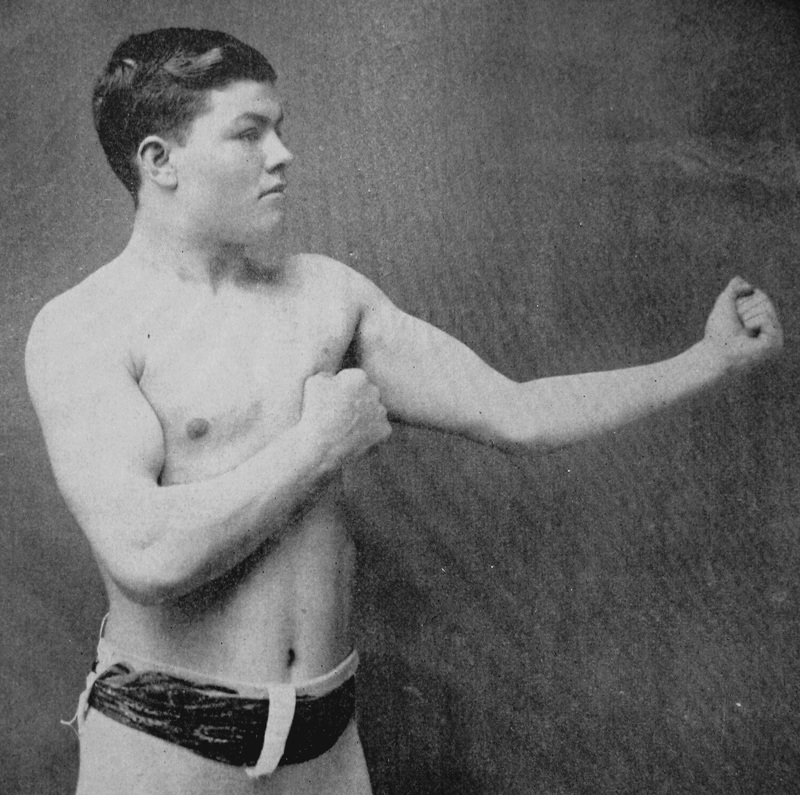 In 1890 he was persuaded by his manager to move up a weight division to welter and to try his luck in San Francisco. There he encountered the Scotch-Irish boxer Patsy Kerrigan. Needham was conceding 6 pounds to Kerrigan. The fight turned into an epic – the War and Peace of professional boxing, although there wasn’t a lot of peace in evidence. Neither boxer laid a glove on his opponent in the final 11 rounds, both were so exhausted they simply stalked each other around the ring feinting from time to time. Eventually the referee called it a draw at 3.15 a.m. Some of the spectators had actually left the arena and returned a number of hours later to discover, to their surprise, that both fighters were still on their feet. Later in life Needham went prospecting in Alaska, attempted to murder a man stalking his wife and was jailed for armed robbery in 1899. He died at the age of 55 after having spent the last two years of his life in a mental institution. Danny Needham and Patsy Kerrigan eventually fought each other to a standstill in San Francisco in one of only two boxing contests to go over 100 rounds 125 years ago on this day. One of the great Irish writers of the 19th century, William Carleton, was an author who made a huge impression early on in his career and is still most famous for the first book he ever published. Traits and stories of the Irish peasantry came out when he was in his early thirties. To literate Dubliners Carleton was a Protestant writer whose full-time job was as a clerk in the Church of Ireland Sunday School office. 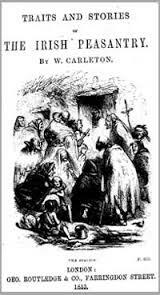 He was noted for his satiric takes on certain Roman Catholic rituals like penitential pilgrimages to Lough Derg. By the 1830s Carleton was a well regarded middle class Protestant writer with an eye for detail and dialogue who had managed to capture perfectly the vagaries, eccentricities and violence of the Irish Catholic peasant. He left Tyrone in 1817 and worked as a hedge schoolmaster himself for a time before trying his luck in Dublin. He had little more than half a crown in his pocket. His luck held, he made some opportunistic adjustments to his life and prospered for a while. Though he had some early failures. He sought to join the army, for example, but it was suggested to him by a regimental Colonel that such a life might not be the best one for him. He had made his application in Latin. Carleton has given us characters like Willie Reilly and his dear Colleen Bawn and the Squanders of Castle Squander while also writing a fictionalized but searing account of the Great Famine, The Black Prophet, published in the dark year of 1847. Never a man given to political consistency he once offered to British Prime Minister Sir Robert Peel to link Daniel O’Connell to agrarian crime but still managed to befriend the romantic nationalists of Young Ireland and contribute to their newspaper The Nation. Despite, or perhaps because of, his own Catholic birth, his writing on the subject of religion and politics, was virulently anti-Roman. He died in 1869, the year William Gladstone dis-established the Church which he had joined in the 1820s. Never good with money he had relied in the twilight of his life on a government pension after a successful petition from a wide range of Irish political and religious figures, including the the fiery Belfast Protestant evangelical preacher Dr.Harold Cooke and the President of the Roman Catholic seminary at Maynooth College. Carleton never quite extracted his foot entirely from the camp into which he was born, in Clogher, Co.Tyrone 219 years ago, on this day. There are spies, there are informers, there are traitors, and then there is Leonard McNally. He was one of the most effective and enduring British spies in the ranks of an Irish revolutionary organisation. The unlucky, or careless, rebels were the United Irishmen, the men of 1798. 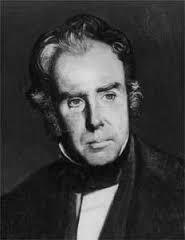 McNally, a barrister and playwright, was actually a prominent and radical member of the United Irishmen. He was eager for the organisation to accept military assistance from revolutionary France. 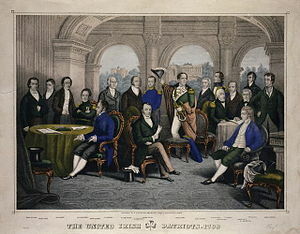 But when William Jackson, an agent of the French government, was arrested in Ireland in 1794, McNally, rather than wait to be shopped for treason by Jackson, took a more pro-active course and offered his services to the Crown in exchange for not being hanged, drawn and quartered. Given what actually happens to someone who is hanged drawn and quartered he might well be forgiven for this initial capitulation. But the fact that he was still providing intelligence to Dublin Castle a quarter of a century later suggests that it had become more about remuneration than self-preservation. After the 1798 rebellion McNally defended many United Irishmen charged with involvement in the abortive insurrection. He didn’t win a single case. It could have been because his clients were guilty to begin with, or because he was fiendishly unlucky. But his winless streak was more likely to have been related to the fact that he was passing information on his clients to the prosecution. Not really the done thing for a defence attorney I’m sure you’ll agree. 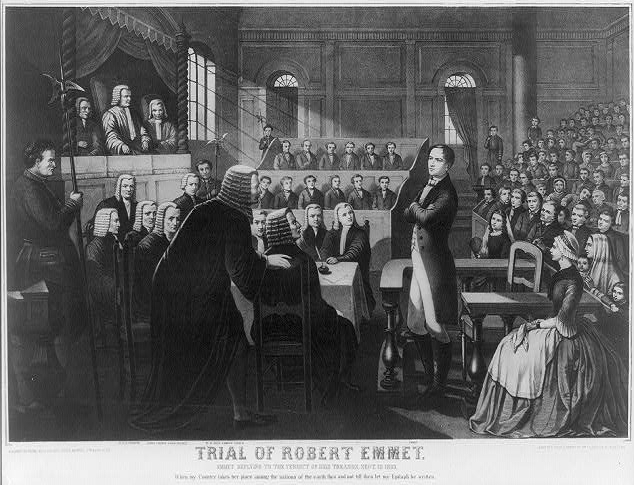 Among the men he defended were William Jackson, Wolfe Tone, Lord Edward Fitzgerald and, in 1803, Robert Emmet. So, were there an Irish Pantheon he would probably have contributed to the presence of about half the occupants. In the case of Emmet he advised the Crown that his client would enter no defence and allow cross examination of no witnesses on his behalf, as long as they did not misrepresent the facts. So the trial would be a walkover for the prosecution and Dublin Castle didn’t even have to bother fabricating evidence that might come back to haunt them in court. After 1803 you’d have thought McNally would have quietly and gracefully retired. But a £200 bonus, on top of his hefty pension of £300, ensured that ‘JW’, the code name by which he was known to his spymasters, stayed in business until his death in 1820. In a doubtlessly fruitless effort to mitigate McNally’s evil reputation it should be pointed out that he was also a successful playwright and librettist. One of his songs, The Lass of Richmond Hill, became a huge hit in its day, 1789, and a favourite of King George III, the one who had occasional bouts of madness. It was written about McNally’s first wife Frances and describes her as ‘a rose without a thorn’. In one of those wonderful ironies for which a fiction writer would be pilloried were it to appear in a novel, a legal treatise, written by McNally the year before his betrayal of Robert Emmet, was pivotal in the definition of the principle of guilt being ‘beyond reasonable doubt’ before conviction. His espionage activities did not become apparent until after his death when his son sought to have the payment of his pension continued post mortem. When the Lord Lieutenant inquired as to why a pension had been paid to such an ardent nationalist, the truth began to emerge. 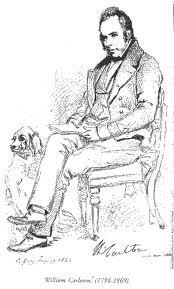 Leonard McNally, barrister, playwright, serial informer and a rose with many thorns, died 195 years ago, on this day. You are probably not familiar with the name William Augustine Whelan. You may not even be familiar with the name by which he was better known, Liam or Billy Whelan. But he was, and still is, the great ‘lost genius’ of Irish football. He hated flying, which is ironic, because he is also one of this country’s most celebrated air crash victims. Whelan was born on April Fool’s Day 1935 and spent his footballing life making fools of many defenders, amateur and professional alike. Like so many gifted young footballers he played for the great Dublin youth team Home Farm before progressing into the very top of the professional ranks when he was scouted and signed by Manchester United. He was one of the Busby Babes, playing in the position then known as ‘inside forward’ – today he would be an attacking midfielder. His boss was the great Scottish manager Matt Busby who, in the 1950s, was in the process of assembling a young squad and building them into one of the premier European sides. Whelan might have expected to serve the sort of long rugged apprenticeship customary for young professional footballers in the 1950s. Lots of boot cleaning and maintenance and the distant hope of making it to the top level. But he actually broke into the United first team at the age of 18 where he was joined two years later by another teenager, from Northumberland, one Robert Charlton. In his four seasons at Manchester United Whelan made 98 first team appearances. He averaged more than a goal every two games, scoring 52 in all competitions for the club. He played four times for the Republic of Ireland but did not score. He was United’s top goal scorer in the 1956/57 season when his team won the old First Division championship. 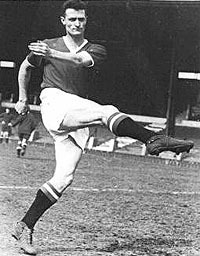 With 26 goals in the League Whelan contributed a quarter of United’s total that season. In the 1957/58 season, as First Division champions, Manchester United became the first English club to play in the European Cup, a competition, up to that point, dominated by Real Madrid but held in low esteem by the English Football Association. They reached the quarter-finals, where in early February, they beat the Yugoslav champions, Red Star Belgrade, the second leg taking place in Serbia. The flight they took back to England stopped off for re-fuelling in Munich. A direct Belgrade to Manchester flight was beyond the range of the Airspeed Ambassador plane in which the team travelled. While the passengers waited in the Munich terminal building snow began to fall heavily. Two take off attempts were aborted. The passengers were asked to disembark while minor repairs were carried out. Just before the plane took off for the third time Whelan was overheard by one of the other passengers to remark nervously and fatalistically to one of his teammates “Well, if this is the time, then I’m ready.” Tragically, it was the time. The Airspeed Ambassador hit slush at the end of the runway, slowing the plane down. It did not now have sufficient speed to take off and skidded through a barrier, collided with a house, breaking in two pieces. 23 of the 44 passengers and crew died, including eight of the 17 Manchester United players on board. Whelan was one of the fatalities. In 2006 he had a railway bridge named after him in Cabra, not far from Dalymount Park, where he had played with the Irish international team. The unveiling was performed by his teammate and one of the fortunate survivors of the Munich Air disaster, Sir Bobby Charlton, another goalscoring inside forward who lived to realize his potential with World and European Cup medals, 106 caps for his country and the prized Ballon d’Or – world player of the year – in 1966. While Whelan would never have won a World Cup winners medal all the rest that Bobby Charlton achieved was available to him. 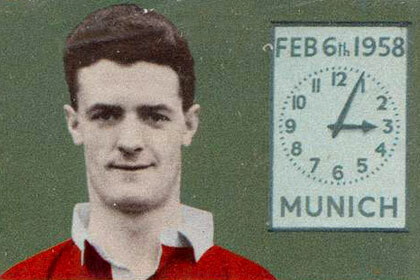 Liam Whelan was two months shy of his 23rd birthday when he died, 57 years ago, on this day. 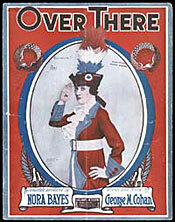 This is a guide to a small percentage of the music recorded in the USA which was related to the Great War. It is confined to material discussed by historians Glen Gendzel (San Jose State University) and John Borgonovo (University College, Cork) for a segment which did not make it into the final edit of a two part series I have compiled and presented for Lyric FM called ‘From Tipperary to Salonika: Ireland the the music of the Great War’. The programmes will be transmitted by Lyric in the Lyric Feature slot at 7.00 pm on Friday 13 February and Friday 20 February. You will be able to ‘listen back’ to the two broadcast programmes on the Lyric FM website [http://www.rte.ie/lyricfm/] and you will also be able to listen to Glen and John talk about songs like I didn’t raise my boy to be a soldier, Over there, Stay down here where you belong and many more. Songs written in opposition to WW1 recruitment were, of their nature (because they were illegal under the Defence of the Realm Act) never published or widely performed in public. 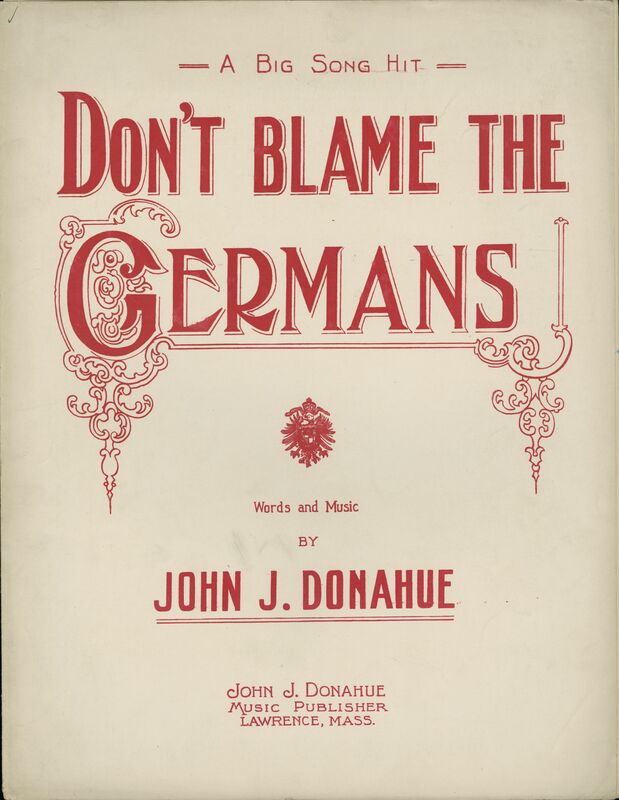 One notable exception to the lack of published anti-recruiting material was, of course, the USA where, before its entry to the war in 1917, there was strong anti-war sentiment, particularly amongst Irish and German Americans. There was also a vibrant if patchwork ‘left’ which was opposed to the imperial nature of the conflict. The latter strain was reflected in the tunes recorded in The Little Red Songbook, first produced in Spokane, Washington in 1909 by the Industrial Workers of the World, or the ‘Wobblies’. The famous Swedish-American labour activist Joe Hill contributed a number of songs, including an anti-war song Don’t take my papa away from me. 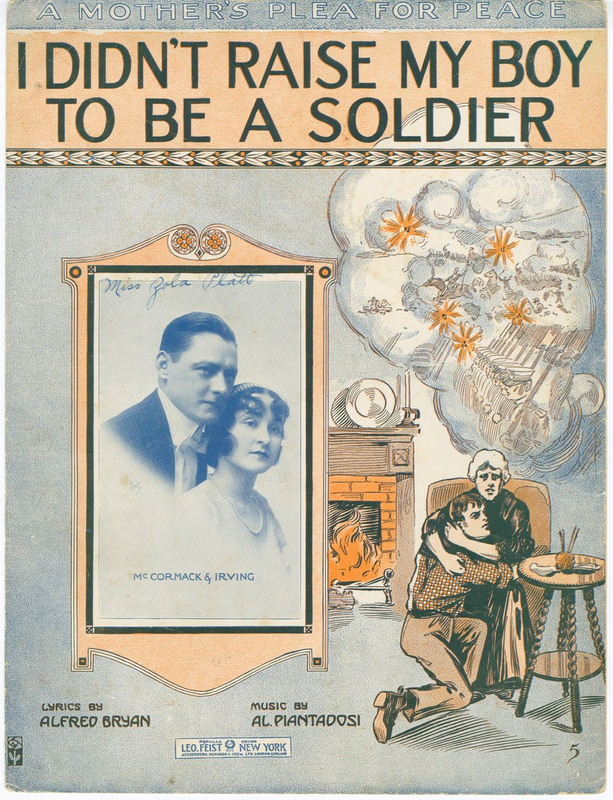 A rather gentler example of the genre was I didn’t raise my boy to be a soldier with lyrics by Alfred Bryan and music by Al Piantadosi, published around the same time. This one centres around the figure of the [potentially] grieving mother. I hears a mother murmer thro’ her tears. 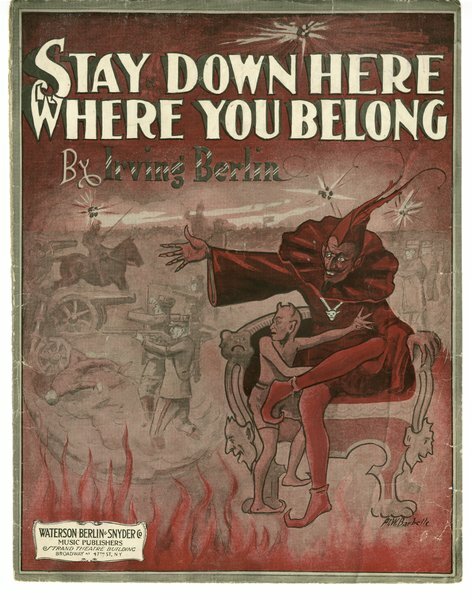 The lyrics depict a conversation between the devil and his son – the devil urges the son to “stay down here where you belong” because people on Earth do not know right from wrong. His son wants to go ‘up above, up above’. 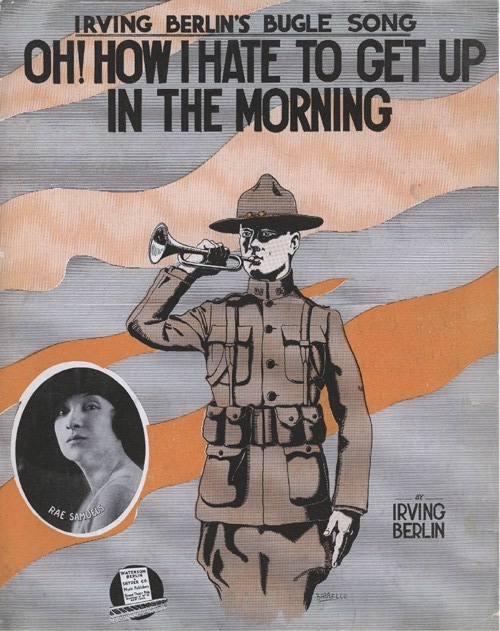 One of the songs in Yip Yip Yaphank possibly testifies to the greater acceptance of slightly more subversive material in the USA than GB – the show included the song How I hate to get up in the morning. The thriving US anti-war song genre included Daddy please don’t let them shoot you, Don’t take my darling boy away and If they want to fight, all right, but neutral is my middle name. It continues by appealing to Irish prejudices and to a revisionist trope that had emerged from Germany itself by 1915, the notion of ‘perfidious Albion’ really being at the heart of the conflict – that England was to blame for the war. To this day she is known as Kitty, though her friends, family and London society in the late 19th century knew her as Katharine, or Kate. Although the name is innocuous today during the Victorian era it was meant to sting – in those times ‘kitty’ was a euphemism for a prostitute. But they did. She was the wife, probably estranged, of one of the great Irish chancers of Victorian London, Captain William Henry O’Shea, once a dashing Hussar but more familiar today as a talentless political opportunist. Had O’Shea not been a failed banker he might well have found other ways in which to discommode his native country. As it was it was his failure as a politician that was to have more serious ramifications than his inadequacies as a financier. 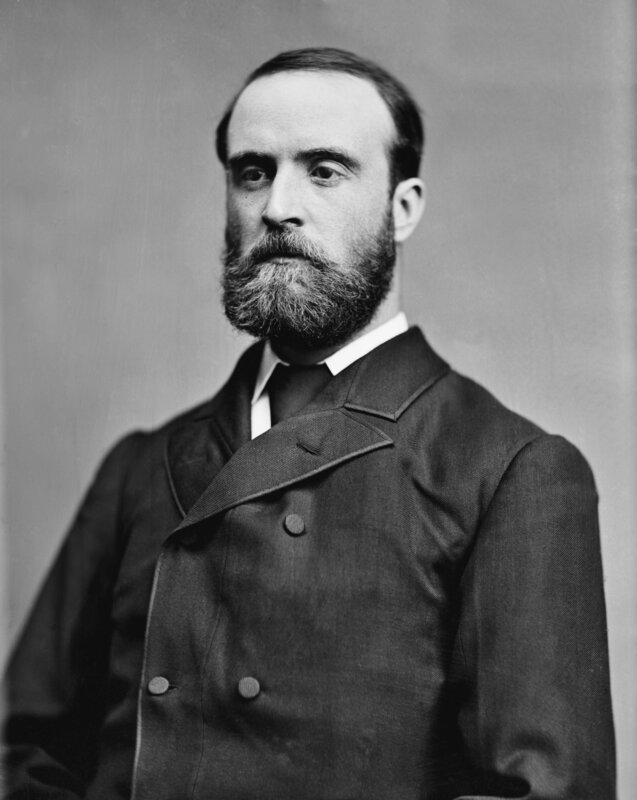 In 1880 O’Shea was a rookie Irish MP, Parnell was the new leader of the Irish Parliamentary Party. 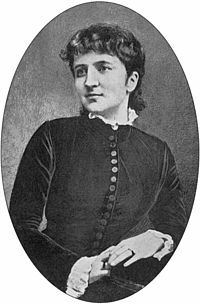 O’Shea had an attractive wife and he obliged her to make herself useful in the advancement of his political ambitions. She was instructed to invite Parnell to a number of political soirees she organized on her husband’s behalf, or, more likely to keep the dodgy O’Shea at a disrtance. He pronounced his name O’Shee by the way, presumably to distinguish him from his common or garden countrymen of the same name. Parnell, however, was not one for the banality of opening invitations, or indeed letters in general, so to press her invitations she went in person. That, according to her own account, was when they fell in love. Parnell didn’t leave any account. He was as good at writing letters as he was at opening them. The relationship blossomed rapidly and soon, they were, in effect, man and wife. She became his ‘Queenie’, he became her ‘King’. O’Shea rarely darkened the door of his wife’s boudoir but found out about their trysts rather quickly. He challenged Parnell to a duel but when, to his surprise, the Irish party leader accepted the challenge, the former Hussar backed down. He contented himself thereafter with squeezing every drop of political nectar he could from his wife’s lover and partner. He looked away as the couple had three children together. His incentive, in addition to political advancement, was a hefty share in a large sum of money his estranged wife stood to inherit from an aged aunt. When the elderly lady finally passed on, and he was neatly cut out of the inheritance, he stopped looking away. He sued for divorce, no doubt full of the festive spirit, on Christmas Eve 1889. The resulting court proceedings destroyed Parnell’s career. In the middle of a year of huge controversy in 1891 he only made things worse for himself politically when he married Katharine after the divorce was finalized. Humiliated by a series of futile and debilitating by-election campaigns an exhausted Parnell died in their house in Brighton in October, a month the highly superstitious Parnell always considered ill-starred. Katharine Parnell, as she now was, then did a great service to a country she had never visited and much of whose population considered her to be a scarlet woman or an English spy who had destroyed their leader. In an act of generosity she waived her right to have Parnell buried in a south of England graveyard where she could join him when her own life ended. Instead she allowed him to be returned to Ireland and interred in Glasnevin cemetery in perhaps the biggest funeral the country had ever seen. 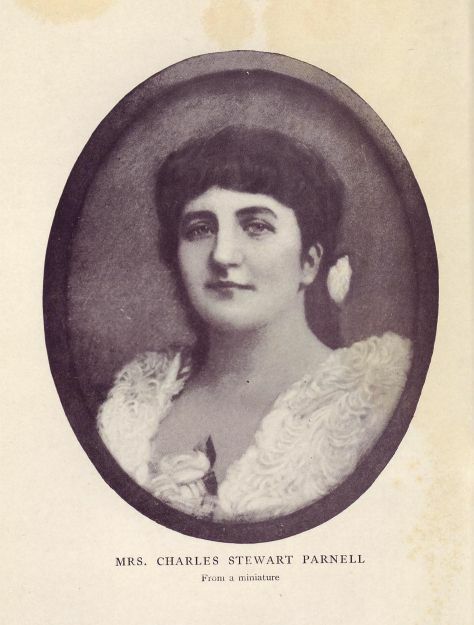 Katharine O’Shea, or Katharine Parnell as she chose to be called, was born five months before her second husband, Charles Stewart Parnell, 169 years ago, on this day.